As one of the founding members of Catalyst Commercial Group, Mike’s reputation was built on the ability to expertly represent Tenant clients on a national basis. As such, Mike and his partner formed Catalyst to service a great need in the industry, which was the exclusive representation of RETAIL Tenants as their primary focus. Having designed strategic expansion plans for many national restaurants and retailers, Mike’s ability understand the individual needs of each Tenant, lay out those needs as part of a specific framework for strategic growth, then having the tenacity to successfully implement those plans be it on a local or national level, Mike has garnered the loyalty from the retail community and his Tenants all of whom came to rely on Mike’s expertise and ability to get the deal done. A seasoned commercial real estate professional, Mike has over 16 years of commercial real estate experience working with Tenants and Buyers. Since 2008, Mike and his partner have led the complete Arizona rollout for Five Guys Burgers & Fries enabling metro Phoenix to become the #1 corporate market in terms of AUV for Five Guys system wide. Nationally, Mike helped a fledgling 11 store concept called Cold Stone Creamery grow to over 1,400 stores as he personally located and negotiated over 350 locations for them contributing for roughly 25% of their national growth since 2000. At Catalyst, Mike’s responsibilities include all facets of daily business operations. 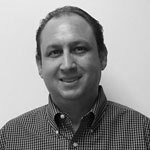 In addition, Mike spearheads Catalyst’s business development team, while still managing several client accounts personally. Some of Mike’s clients include Five Guys Burgers & Fries, Jersey Mike’s, Octane Raceway, Papa Murphy’s Pizza, and Cold Stone Creamery; all of whom came to rely on Mike’s expertise in the areas of site selection and lease negotiation. Previously, Mike held the position of Vice President of Retail Leasing with MAS, Inc., an Arizona based full service brokerage company. Originally from the Boston area and still an avid Boston sports fan, Mike has been an Arizona resident since 1994. 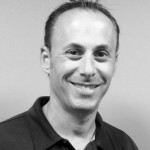 Mike graduated from the University of Massachusetts in 1993 and lives in Phoenix with his wife and two daughters. As a founding partner of Catalyst, Chris brings 15 years of industry experience to the firm, having represented some of the nation’s top retail and restaurant tenants, including: Five Guys Burgers and Fries, Plato’s Closet, Massage Envy, Play It Again Sports, Cold Stone Creamery, Koko FitClub, Big O Tire, Once Upon A Child, Archiver’s, The Joint Chiropractic & Giordano’s Famous Stuffed Pizza. Chris and his team work with their clients to oversee all phases of the real estate process – from strategic market planning and site selection, to aggressive LOI and lease negotiation. Chris’s comprehensive knowledge of the retail marketplace, combined with his strong relationships with local, regional and national landlords and brokers, enables him to consistently secure the best possible locations at “better than market” terms for his tenants and operate for many of his clients as their full-service outsourced real estate solution. Chris began his commercial real estate career in early 2001 at MAS, Inc., a boutique brokerage specializing in retail and restaurant Tenant Representation. In late 2005, he and the company’s other top producer, Mike Leonard, left to launch Catalyst Commercial Group. Throughout his career, Chris has handled 1,000+ Tenant-specific retail lease and purchase transactions, with an aggregate value of over $500 million. Bryan brings 15 years of Real Estate experience to the Catalyst Commercial group, with the last 10 being specifically focused on tenant representation in the franchising industry. Bryan works tirelessly to put the clients brand first to make sure he is finding the ideal site for the clients new location needs. Previously, Bryan held the position of Director of Real Estate and Development for Fun Brands, parent company to the Pump It Up, BounceU and Fun Brands Carousel portfolios. In that roll Bryan was in charge of all new store site selection, relocation, and renegotiation for the three brands under the parent company in both the Retail and Industrial arenas. Bryan’s assistance in store growth allowed the brands to grow to be the #1 national leader in its brand segment in both stores opened and AUV. His roll entailed directing Discovery Days, Franchisee on-boarding, site selection, LOI negotiation, lease negotiation, and working with the Construction Managers during the build-out process. His ability to work from start to finish allows him to make sure momentum is not lost in the opening process. 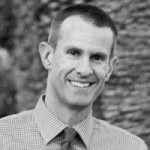 Bryan has been a resident in Arizona since 1994 and Graduated from Arizona State University in 1998. Originally from the North Suburbs of Chicago, he now lives in Scottsdale with his wife and two sons. As an associate, Priscilla advises current and potential clients in several capacities. Including: trade area analytics/review, location demographic analysis, site specific economic analysis (measured on clients’ financial model parameters/objectives), client market tours, creation/submission and LOI negotiation and finally general lease review. Working directly with the principals, Priscilla has benefitted from their expertise and guidance in the commercial real estate world. She has shown tremendous promise, passion, and commitment to become a leading associate in the industry as well as a valuable asset to serve clients. Priscilla graduated from Grand Canyon University in 2015 with a bachelor’s degree in Psychology. While attending there, she was a member of the Women’s tennis team, and played at both the #1 singles position and #1 doubles position throughout the entirety of her collegiate career. She completed her senior year as the Western Athletic Conference Player of the Year. 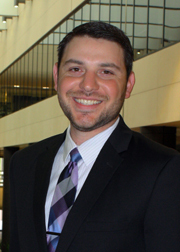 Daniel Sheldon is an Associate Broker with Catalyst Commercial Group. His primary focus is Tenant Representation for both Local and National Franchisees of retail & restaurant clients. Daniel spent his first years in the Commercial Industry at one of the largest Development & Brokerage Firms in the state, after realizing his passion and the niche for Representing Tenants in a more personable one on one environment, he made the move to Catalyst Commercial Group where he is now able to grow relationships with National Brands across the Country. Massage Envy, The Joint, America’s Mattress, Mayweather Boxing & Fitness, Fit Body Boot Camp and Deka Lash. He earned his Bachelor of Science from Arizona State University with a major in Urban Planning & Development and a minor in Sustainability. In his free time, he enjoys spending time with friends and family, anything outdoors especially being out on the lake fishing and Team Roping.